Have you ever looked at the biggest, most successful bloggers out there and thought, “yeah, I should blog! I’m going to make a ton of money!” Well, I’m about to make you very sad. Something I noticed in my last Q1 earnings update is… I’m putting all of my income online, which kind of weirds me out just a little. Now that I’m a full-time freelancer, everything I make is, well, everything I make, meaning I don’t have my full-time job as additional income to my side hustle. My side hustle is my real hustle now. When I thought about it, I started my income update and quarterly earnings update reports to show what I’m making from blogging, not my “day job” income. After all, all of us work for money somehow – we all have bills to pay. I wanted to document what I made on the side to show people it’s eventually possible to leave a soul-sucking job and be a full-time freelancer. This all to say: from now on, my quarterly earnings update reports from here on are going to be all about my “side hustle” – this blog. What I want to answer is: is it possible to make money blogging? Can you replace your income by blogging? Is It Possible to Make a Living Blogging? I don’t know yet. I wish I had something more useful or hopeful to say, but the truth is, a lot of people don’t make it blogging. 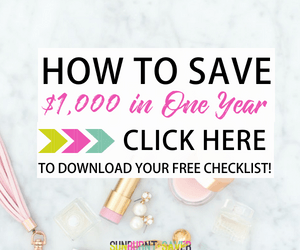 For every Michelle, Rosemarie, or Kristin, there are a lot of smaller bloggers who aren’t making it on blogging income alone. By the way, I’m not knocking Michelle, Rosemarie or Kristin. I happen to love their blogs (you should visit if you haven’t yet!) and find them inspirational. All three of them will tell you there’s nothing exceptional about them that made them succeed, but that’s not quite true either. I’ve been reading their blogs for years, some since the very beginning, and I can tell you: if you want to make an income from blogging, you have to work. Just listen to Britney Spears’ song “Work” on repeat, and you’ll have an idea of what these ladies do every day. So, can I do it? Can I be one of those successful bloggers who replaces her day-job income with blogging income? I’m going to document every single painful moment of it for you – and then we’ll see what happens! What is Quarter Two (Q2) and Why Are You Calling It That? For a grand total of $420. No affiliate income, like Google AdSense or MyFinance (the ads you see below) payouts for these last three months, nor any revenue from products I promote – mostly because I don’t actively promote many products right now. I’ll never promote anything on this blog I haven’t used and loved, whether or not that’s “good” for my bottom line. June was a reasonable month, much more like normal. In fact, $150 of that was my health insurance, since that’s a write off when you’re a solo entrepreneur like I am. 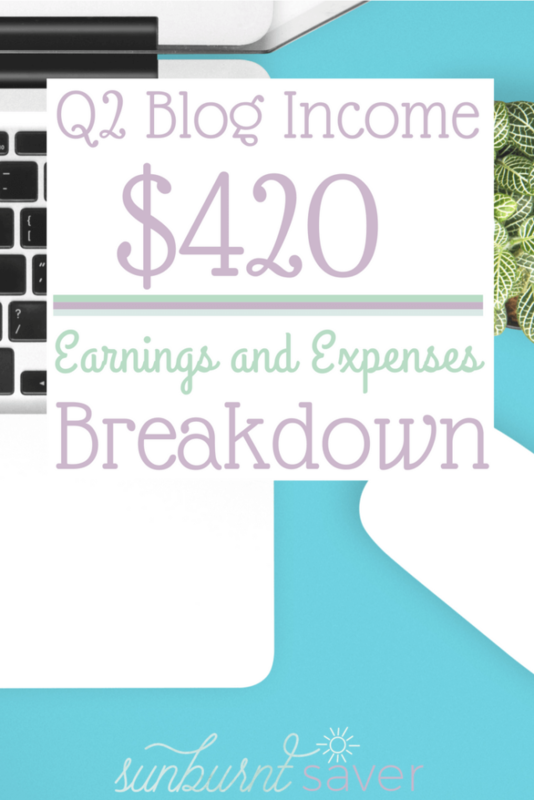 But yeah, I spent a total of $2,080 and made a grand total of $420 in blogging income. Rolling in the dough, many bloggers are not. What do you think of this new format and information? Do you think it will be useful for me to show my income and expenses as a blogger? What do you think of my blogging goals for the next year? Stay tuned for the Q3 update, because I’d really like to dive in and show you what my stats are – how much traffic I get, where it comes from, etc. Is this something you’d be interested in seeing? Let me know in the comments! Bloggers like Michelle are honestly incredible. I keep meaning to take her course, because I don’t really understand affiliate sales at all and I feel like there are plenty of products that I do love and are useful that it would be great to be able monetize my mentions of them. Good luck with the next quarter! Congrats on a good quarter! I’m slowly starting to make $ from my blog as well. Fortunately, blogging is just an outlet while I stay home with the kids so I don’t quite feel the pressure to “work” it right now. Sponsored posts are the way I make most of my $ as well. Visiting from Inspiration Monday party. Thank you so much, Victoria! Blogging when not feeling forced to make money is the best type of blogging, because it’s natural and you don’t feel pressured to produce something all the time. I’m pretty chatty, so luckily I haven’t run out of material yet and felt pressured, but now that I’m full time we’ll see :-O Thanks for visiting! What a great post! You answered so many of the questions I thought up as I was reading. I know you will make it to the profitable side of blogging. It’s just going to take time. You help motivate me to want to keep at it too!! To not become continually frustrated by not making money is a challenge! I’m giving it a year, maybe two. I feel like the most profitable blogs are blogs about how to make a blog! Anyway, you’ll never know if you don’t try! Thank you, Maria – that’s so true! 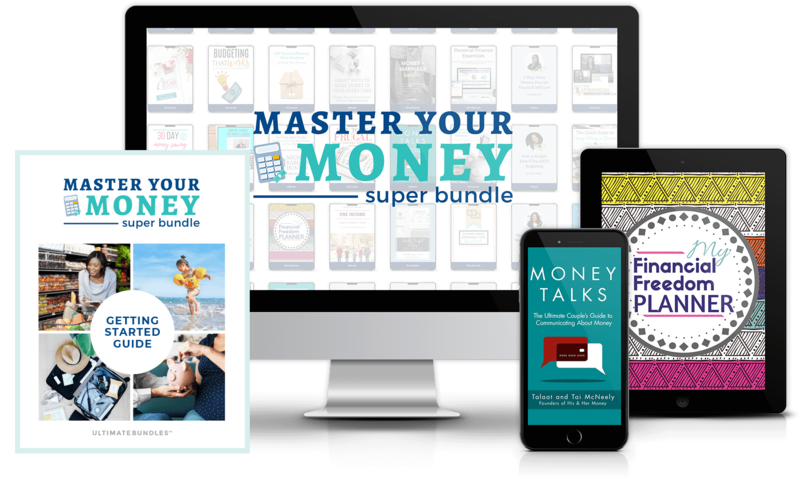 It seems like the most successful blogs blog about making money, but there are a ton of those out there. I’d like to see more niche blogs make some money too, without selling out. It’s my goal to see if this is possible! I know all too well how hard it is to actually make money from blogging. I did my math a couple of months ago, and learned that I’ve made a grand total of $2,772.67 over 4 years. Which is pretty good for a hobby – but terrible for a job! 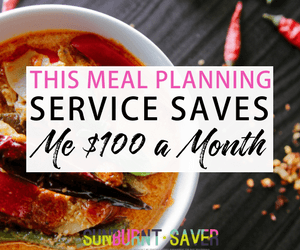 I’d need to make that each month if I wanted to quit my job and blog full time instead. I think you’re heading in the right direction though. Those bigger bloggers didn’t get to where they are overnight, so keep working at it and maybe one day your name will be on that list too! Woohoo!! You’re crazy – did you seriously put in the same sentence as Rosemarie and Michelle?! Those ladies are amazing 🙂 Great job with sponsored posts – that’s one area I need to focus on more, but always forget to do! Yes I did because you deserve to be there!! 🙂 Sponsored posts are okay, but I’d definitely like to make more from affiliates like you do! Hi Melissa! 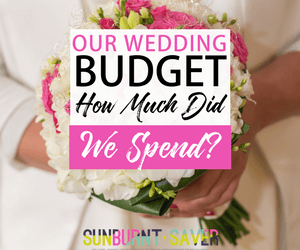 If you don’t mind me asking… why/how did you pay most of $1,300 in taxes? I guess I’m surprised/confused because your income was less than that ? *I’m still pretty new to all this and haven’t made any money yet! So kudos to you! And I know once I do make money I’ll have to pay taxes, but I thought the tax would be a portion of my income… not well over what my income would be. So I just wanted to check and see what the deal is. Hi Mallory, great question and I should have clarified – thank you so much! I definitely don’t live off my blog income – that would be impossible. I work full-time as a freelancer writer and editor, so that’s the income my taxes are based on. I didn’t want to track my full income anymore because that’s my “job” and I’m trying to show people what you can make from blogging only. Didn’t want to give people the impression they’d make a few thousand dollars a month from blogging, because that’s not quite true for small bloggers like me!